Forget about watching history making events. We want everyone at the Olympic Games to be as obsessed with Pokemon Go as we all have been. The Mayor of Rio de Janeiro has asked Nintendo to bring Pokemon Go to Brazil in time for the Rio Olympics. 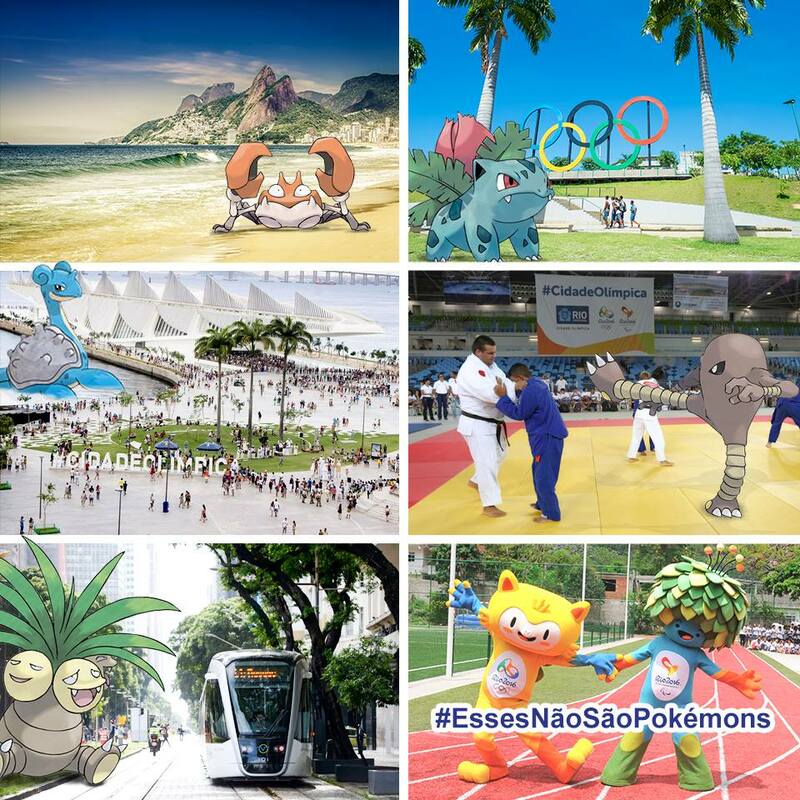 The post is accompanied with an image of select locales around Rio de Janeiro with Pokemon photoshopped into them. The image includes a Krabby near the ocean, a Bulbasaur near an Olympics symbol, and a Lapras swimming in what we assume is extremely polluted waters off of Rio de Janeiro. Niantic, the studio behind Pokemon Go, put a hold on the game’s rollout in order to work on its ongoing issues with the game’s servers. Its launch week was plagued with server issues due to its overwhelming popularity, which appears to have subsided a bit as we haven’t heard many reports of users complaining of any connection issues. In the meantime, we’re curious to see if Nintendo can persuade Niantic to roll the game out to South America. We’re sure those in attendance want to play Pokemon Go while they’re watching history in the making several times per day. What could be better than sharing a picture of a huge Lapras popping up in the middle of an Olympic swimming event? Thieves in Rio also would like you to walk around oblivious to your surroundings with your expensive smartphone out. exactly, that's the stupidest idea right after hosting the Olympics in the first place. Will the AR show dead Pokemon floating in the water? Water Pokemons died with the superbacterias in the water. Earth ones were robbed and shot. Electric ones died in the manholes. Flying ones are working doing delivery for drug dealers. The venomous ones are now overweight after feeding on the sewers and are now on a strict diet. The best place to catch Zikachu!